I hate the saying "Elephant in the Room" but that's how I feel. I've been keeping the blog busy with various posts and reviews and things, and I'm trying to walk around it, under it, even climb over it, but I can't ignore it anymore. I thought I was fixed. I had the therapy, took the medication, started my blog. I work pretty hard for charity, and volunteering. It was #borntoosoon where the trouble started this time. I think the United Nations, World Health Organisation and March of Dimes were shortsighted in releasing the Born Too Soon report the week before Joseph's birthday. I tweeted, I blogged, I shared, I worked hard, but all those images, all those "what ifs", in what is an emotionally charged time of the year for me was quite tough to handle. What is hard for me at the moment is I feel very much alone. Everyone has moved on, especially my husband. I feel the need to talk about Joseph and his start, but no one is interested. It's old news. And who can blame them? He's fine. So if he's fine why do I check if he's breathing before I go to bed? Why am I not sleeping, checking him during the night? Why am I considering pursuing a referral to a paediatrician for "one final check". Because I still have post traumatic stress disorder. I still am disordered in the way that I am processing and dealing with what happened. For me, it's not birth trauma. Joseph's birth, the moments when he went from living inside me with my dodgy placenta to breaking free and into neonatal care were calm, beautiful moments. It's those ten weeks that he was in hospital that stay with me. Everyday I can't help but think of what I was doing this time three years ago. I wonder whether my Pollyanna persona did me more harm than good, repressing the scarier emotions. I didn't feel I had much choice. The loneliness was crippling, I felt I had to stay strong and just deal with it. My husband was back at work, I had no family to help me, it was scary. And it still hurts. I have irrational feelings of abandonment and I still feel bitter about that to this day, angry that my husband couldn't be with me, that there was no one to support me. Days and days of bus travel, of dealing with bad news, doctors, conflict, it was the hardest time of my life. It was Simon from 100 Marathons 100 weeks who brought me back to reality in a radio interview this week. He is a returned serviceman who has PTSD from service in several countries, he's an inspiration (he's not keen on being called that), but he was saying how it's never really over. You can have all the treatment in the world, but it will be there. I can intellectualise as much as I like, that all is ok now, that its in the past. But what happened to us as a family, and to me personally, was a big thing, it is a big thing. And its ok to still feel at times the fear, the anxiety and to think through the what ifs. I just need to keep perspective. It isn't ever over. And I could say loads of things about that which would just sound wrong in a comment box I think but I'll just say I struggle most with trauma from the things that basically came right enough. 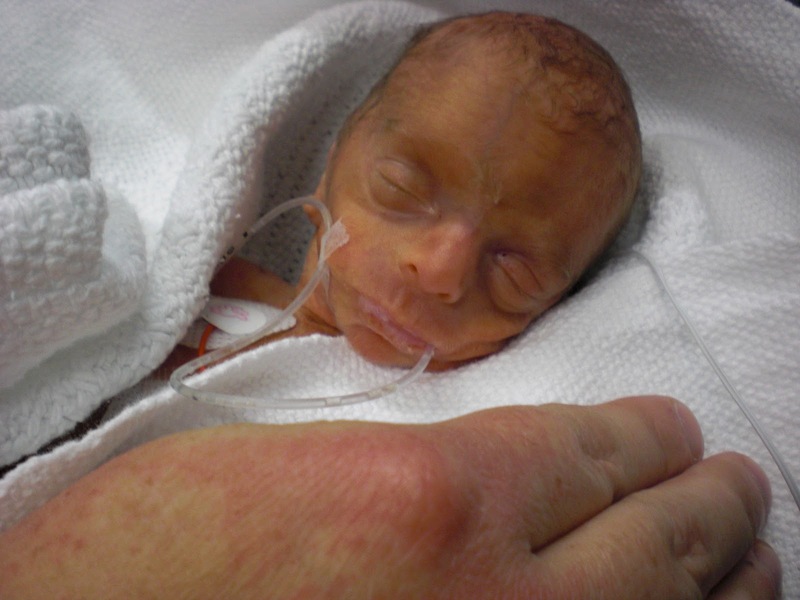 The births that crippled me were far worse, PTSD wise, than the baby who didn't come home. Lots of that comes down to care and circumstance I think at the time and lonely and frightened and not supported enough is very hard to overcome. When it actually all goes so wrong that you can't fix it, I think different emotions come into play. I have to admit I get grumpy with people who complain about silly things without an understanding of how lucky they are but I do understand that life is only ever as hard as the biggest thing you are dealing with. And anyway, you aren't grumbling about a little thing. This was a big thing and yes he's fine but you know, unfortunately, that it can all just go wrong in an instant and his birth altered your entire life and many of your dreams, and that's a big, big thing to come to terms with. It's definitely ok to feel like this at times, I'm not sure it will ever go away. If talking about it helps, then do it. If hubby doesn't want to talk you have a big network of friends who know exactly how you feel. This trauma has changed you forever and is why you do all the selfless things you do for other people and charities. As above,its a huge think and even though Joseph is ok,your plans for the future have changed and that in itself is a huge adjustment. You do need to keep perspective yes, but it's ok to "lose it" once in a while. It actually does you good, I think anyway. You say you "feel very much alone". Just remember this one thing, you are NOT alone. You have people surrounding you who have been through similar experiences just waiting to hold your hand through this. I know it's not quite the same as no-one's experience was your experience but we're all here for you, we really are. Sad but wonderful post. I hope you get through this dip and come out the other side very soon. Would you consider trying EFT? I have a friend who teaches people this- she mainly does it for fertility these days, but it's been useful for me and other friends for all sorts of emotional trauma. LMK if you are interested and I'll give you her contact details. She does it on phone. It does sound a bit woo, but it was very helpful for me. So much of what you've said strikes a chord with me. I have 2 premmies. my youngest, ivy, is a few weeks younger than Joseph. For about a year after she came home I didn't leave the house without my hubby. I was so scared of everything! I did cognitive behavioural therapy for 6 months, possibly more I forget, and found it really helpful. Not that it is a magic wand, unfortunately. I don't think I could say I'm all better, but better than I was! I was gutted to be reading this, to hear that you are feeling alone. You are not alone in still feeling traumatised three years later. I know plenty of mums of prems who feel like this and this late on as well.